This statistic presents the global revenue distribution of the ten most-grossing app categories in the Apple App Store, sorted by business model. 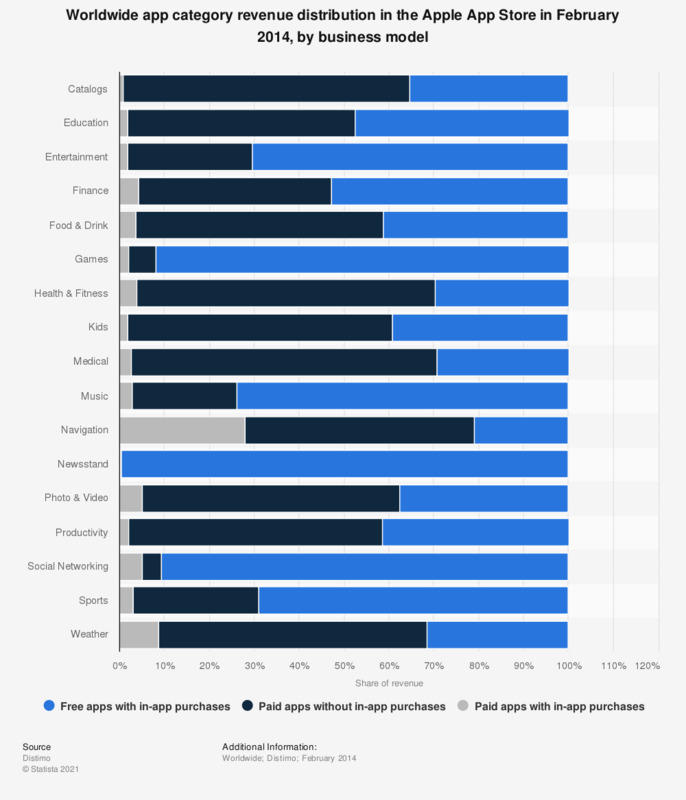 In February 2014, 92 percent of gaming app revenue was generated through freemium apps - free apps with in-app purchases. Only 6.1 percent of revenue came from paid-for gaming apps without in-app purchases. Anaylsis was based on top grossing app categories. Values may not add up to 100 percent due to rounding.